If your family has been impacted by the death of a loved one and you feel another party’s negligence contributed to the circumstances surrounding their passing, a Fort Lauderdale wrongful death lawyer can assist you with filing a claim in court. Call (305) 949-2526. Sep 07, 2018 | Under Wrongful Death Accidents | Posted by Dante Law Firm, P.A. A man who was institutionalized in Centerstone, a Florida mental health inpatient facility, recently committed suicide while under care. Duane Riddick had been known to struggle with depressive episodes and voluntarily committed himself to the institution earlier this year in a bid to get the behavioral health help he needed. However, while receiving inpatient care at the facility, Riddick committed suicide by hanging in the bathroom attached to his room at Centerstone. Riddick is alleged to have been left alone in his room for more than eight hours, which goes directly against the 15-minute check-in rule the institution claims to adhere to strictly. According to this policy, any staff members in charge of supervising patients at Centerstone must check on each person’s well-being four times per hour to ensure that patients are not engaging in self-harm or other destructive behaviors and are overall safe from harm. Although policies like Centerstone’s 15-minute check-in rule are put in place to make certain vulnerable people are safe and secure at all times, such guidelines can only be effective if they are strictly followed by all who agree to them. If these rules are ignored and someone dies because of that person’s poor choice, both the person who ignored the rule and the entity that employed that person can be sued by a Fort Lauderdale wrongful death lawyer on behalf of the deceased’s surviving kin, or by any attorney who specializes in wrongful death suits local to them. 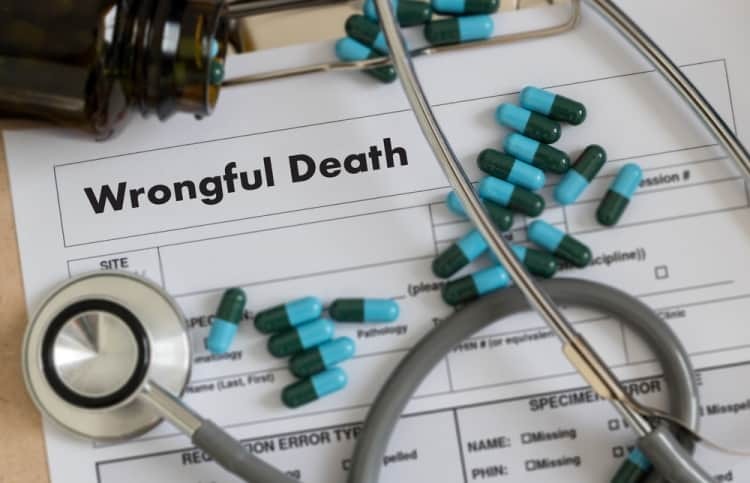 Wrongful death is the legal term for a person whose passing has been deemed preventable and has come about due to negligence or liability of another party. When someone dies and another party or entity is deemed to have been either negligent or in some way responsible—directly or indirectly—for that person’s death, a wrongful death lawsuit may be brought in the civil court. These charges may accompany criminal charges, or may be filed separately from or in the absence of any action taken in criminal court. If your family has been impacted by the death of a loved one and you feel another party’s negligence contributed to the circumstances surrounding their passing, a Fort Lauderdale wrongful death lawyer can assist you with filing a claim in court. At Dante Law Firm, P.A. we will fight for your family in court so that you can get the closure you deserve. In wrongful death cases, families are often entitled to cash awards, and while money cannot undo the wrong that was done, families in financially and emotionally strained situations should have compensation for the pain and suffering they have gone through and continue to go through each day after a loved one’s wrongful death. We offer free consultations and do not charge any fees until your case is won or settled, so contact us today to learn more about your legal options.